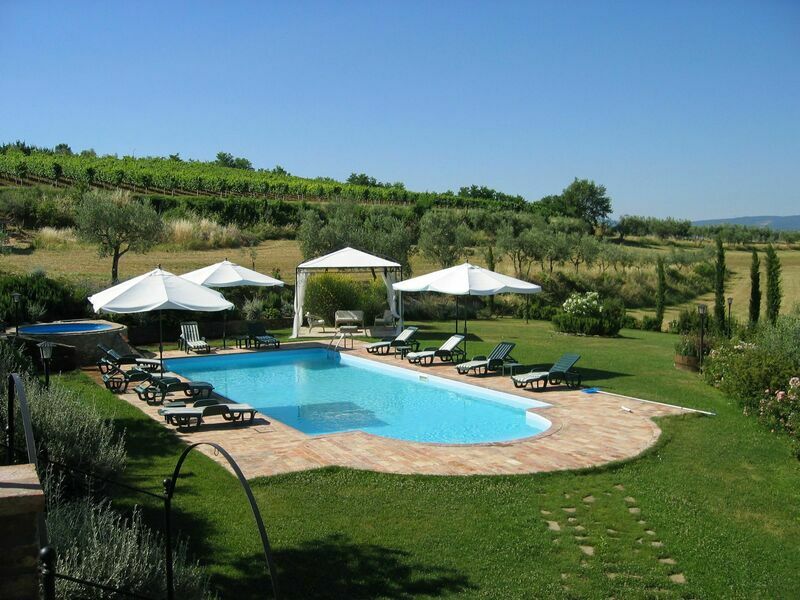 Chianti villas - drink in the splendor of this region! If you have done a bit of research about Italy or dined at your favorite neighborhood Italian restaurant, you have undoubtedly heard of Chianti. This region in Italy is known above all for its wine, and it also offers delicious food and unsurpassed natural beauty. 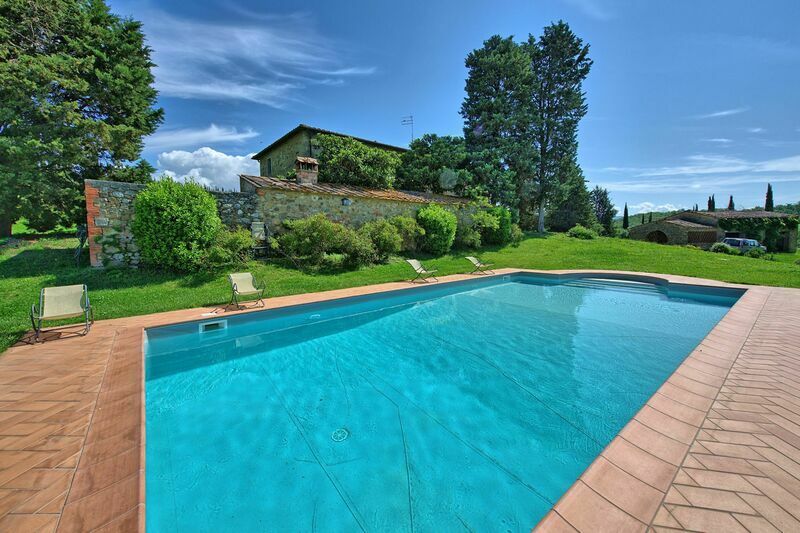 A villa in Chianti places you directly in the center of one of the gastronomic centers of the world and tantalizes you with wine tastings that will rest on your taste buds indefinitely. 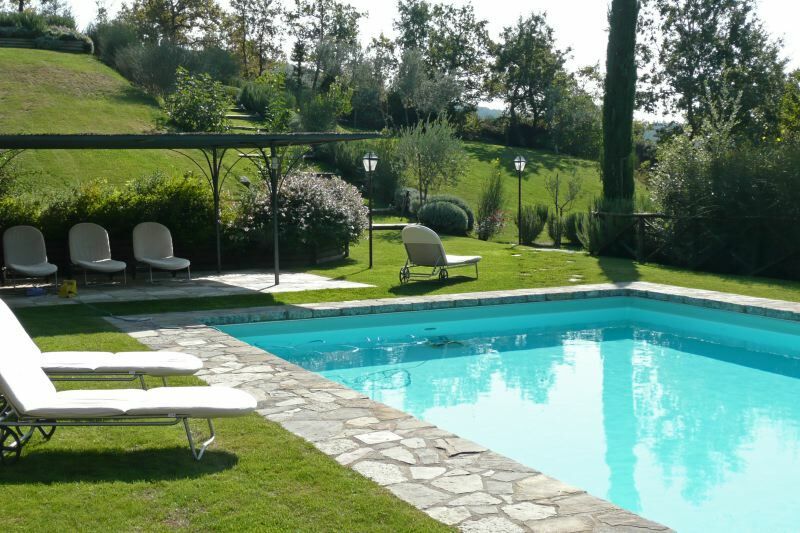 Settle into a villa in Chianti, where you are a stone's throw away from quaint hillside towns like Greve, Panzano, Castellina, and Radda. A stroll through these enticing towns places you in the basket of Italian life. You cannot visit Chianti without being invited by a local chef to break off a piece of focaccia to dip in the region's rich and tasteful olive oil and you will certainly be presented with an array of Chianti's famous red wines so vast that each wines grasps you with its unique aroma. If you are dining at home in your Chianti villa, don't forget to top off your meal with a dessert wine like Vin Santo del Chianti, which will leave a lasting impression on your travel experience. Traveling to Chianti is an easy and fun adventure, as the region can be reached from Florence by bus, taxi, or rental car. Day trips to the hill towns and wineries around the region are an intriguing way to spend the day hours before relaxing back at your Chianti villa, and we recommend renting a car in Florence to make these visits as accessible as possible. Looking to take in the cultural sights as well? Nestled in towns like Montefioralle and Volpaia are museums and churches that are as impressive as those in Florence, but without all of the crowds. 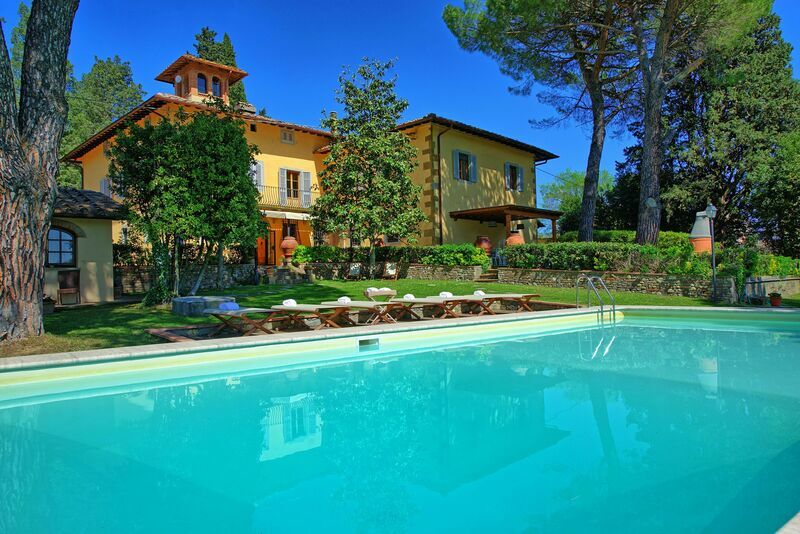 Search for a Chianti villa rental - Start with our convenient search screen and look by availability dates and preferences. When you see properties you like, send us an inquiry or reservation request.